AMG GT and GT C ROADSTERS. 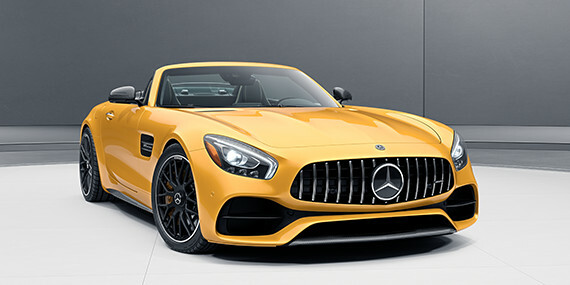 If the Mercedes-AMG GT is a reinvention of the pure sports car, there’s only one way to make it even purer: Open it up. 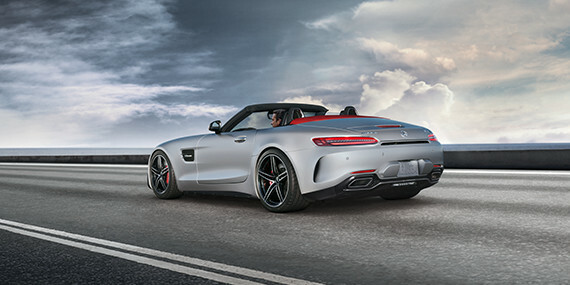 With the new GT Roadsters, the handcrafted AMG performance that’s born on the track has been unleashed into an open sky. 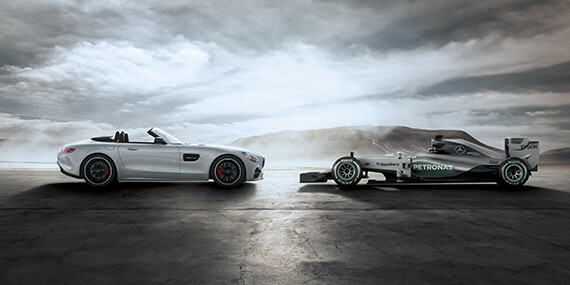 AMG: Driving performance for 50 years. To create perfection and then vouch for it, with one’s skill and one’s name — is a principle that’s lived and breathed at AMG. 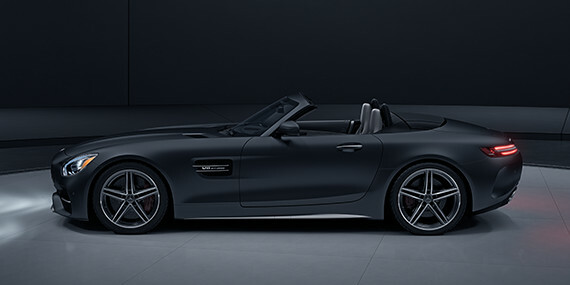 Every single AMG GT engine is hand-built by its own master craftsman. From the placement of the pistons to the recording of every torque spec, “One Man – One Engine” is a promise sealed by its creator’s signature on the plaque affixed atop each engine. 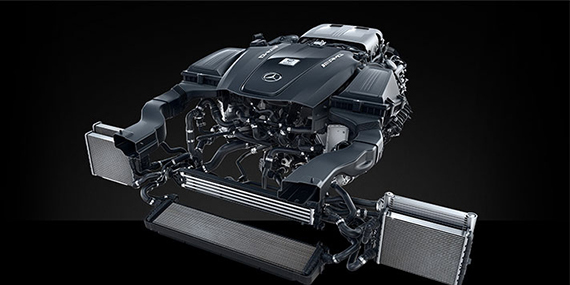 Even the heart of a Mercedes-AMG has a soul. Compresses the air, to blow you away. Clings to pavement, touches the sky. Tuned to your desires, sharpens on demand. The AMG GT C’s available AMG Track Package flexes its muscle freely. Dynamic engine and transaxle mounts use electromagnetic fluid that stiffens progressively, to keep handling precise during aggressive moves. The thick steering wheel is fully wrapped in grippy DINAMICA microsuede. Balanced on every axis, in every action. 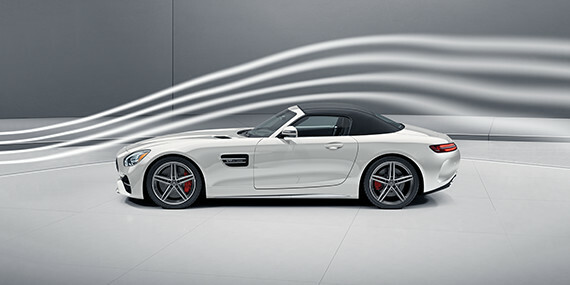 Sculpted to harness the wind. Tailored to transform and transcend. Engineered for less weight, and less waiting. 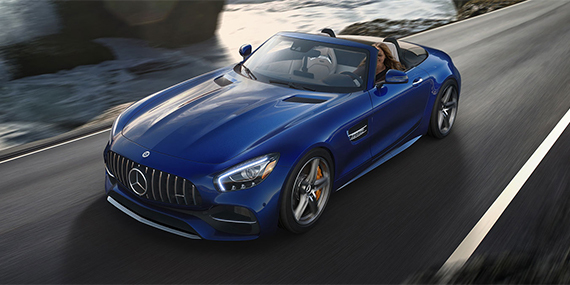 From its aluminum spaceframe to its polymer/carbon-fibre decklid, the AMG GT C Roadster is built to maximize performance by minimizing mass. 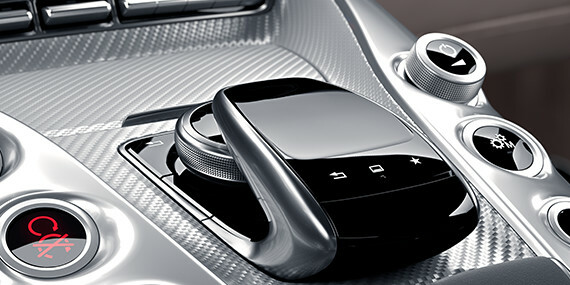 Its onboard technology responds accordingly, from quick-thinking controls for the running gear to advanced cabin tech that keeps you connected and in control. Responds at a touch, reveals at a glance. A fingertip touchpad and sleek yet sizable 8.4″ screen deliver entertainment, navigation and more with animated displays and intuitive menus. 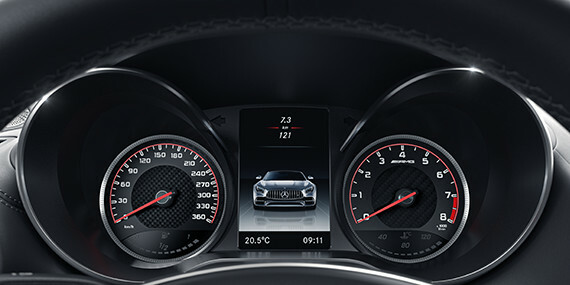 Another screen between the crisp analog gauges offers exclusive AMG readouts so you can keep an eye on turbo boost, oil temperature, speed and gear selection. 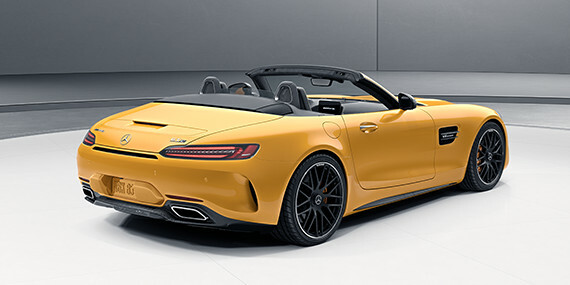 With a sonorous exhaust note you can unleash at the touch of a button, you’re going to want to drive top-down as often as possible. 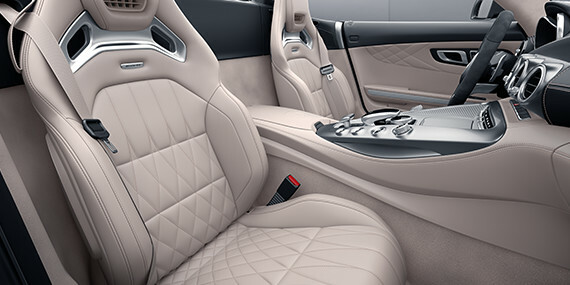 Along with heated seats, standard AIRSCARF® can envelop your neck and shoulders in warmed air, turning a cool evening into the perfect time for an open-air drive. A virtual trainer in your pocket. Using performance driving data from your car, the new AMG Track Pace App can turn your Apple iPhone® into a virtual driving instructor. You can even pair in a GoPro® camera to analyze your skills, and share your results via AMG social media***. An intelligent mix of materials. 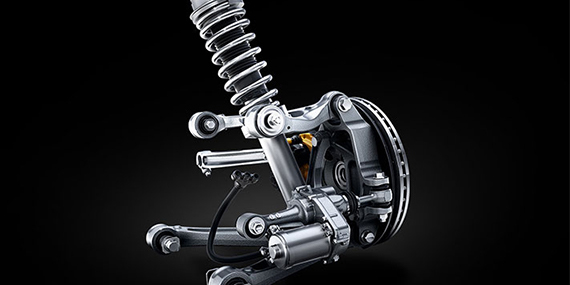 The car’s spaceframe achieves high torsional and longitudinal rigidity with exceptionally low weight. Engineered from the outset as a roadster, there’s no weight penalty over the GT coupe. Aluminum makes up 98% of the body and frame by weight, along with magnesium, carbon fibre and advanced polymers. A protective, proactive eye on the future. * National MSRP pricing is shown and is intended for information purposes only. 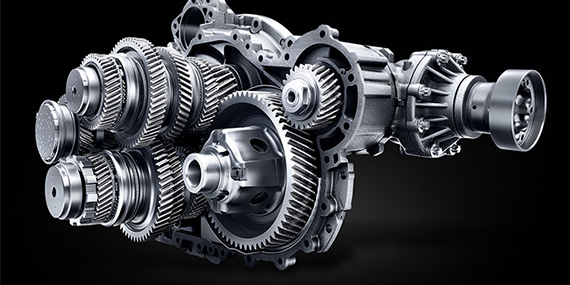 Prices do not include taxes, levies, fees, freight and delivery charges, insurance and license fees, as well as any other products or services not listed that may be available to you through your selected Mercedes-Benz dealership. Vehicle prices subject to change without notice. Dealer may sell for less. These prices do not apply in provinces with total/all-in pricing requirements. Please contact your local dealership directly by phone or in person for exact pricing details and total prices applicable in those provinces. ** Stated rates of acceleration are estimated based upon manufacturer’s track results and may vary depending on model, environmental and road surface conditions, driving style, elevation and vehicle load. 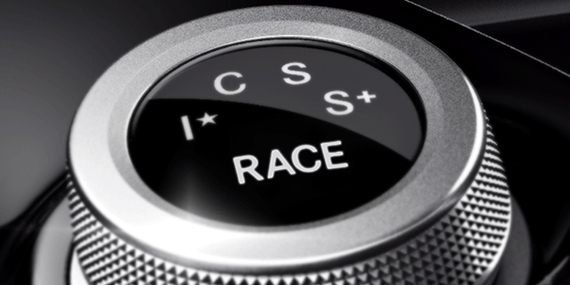 *** The AMG Track Pace App is compatible with Apple iPhone® models running iOS X.X or later. Apple and iPhone are trademarks or registered trademarks of Apple Inc. Requires a compatible GoPro camera. GoPro is a registered trademark of GoPro Inc.
*****Active Brake Assist may not be sufficient to avoid an accident. It does not react to certain stationary objects, nor recognize or predict the curvature and/or lane layout of the road or every movement of vehicles ahead. It is the driver’s responsibility at all times to be attentive to traffic and road conditions, and to provide the steering, braking and other driving inputs necessary to retain control of the vehicle. Drivers are cautioned not to wait for the system’s alerts before braking, as that may not afford sufficient time and distance to brake safely. See Operator’s Manual for system’s operating speeds and additional information and warnings. Blind Spot Assist is a warning system only, and may not be sufficient to avoid all accidents involving vehicles in your blind spot and does not estimate the speed of approaching vehicles. It should not be used as a substitute for driver awareness and checking of surrounding traffic conditions. Rearview camera does not audibly notify driver of nearby objects and is not a substitute for actively checking around the vehicle for any obstacles or people. Images displayed may be limited by camera field of view, weather, lighting conditions and the presence of dirt, ice or snow on the camera. ******Stated rates of acceleration are estimated based upon manufacturer’s track results and may vary depending on model, environmental and road surface conditions, driving style, elevation and vehicle load.